i have a confession to make - i am a self-proclaimed brush snob. there. i said it. the first step is admitting it, right?! you know that feeling when you walk down the office supply aisle at Target and you see the neatly packaged pens, post-it notes & markers? it is a feeling of order. i could spend hundreds of dollars in that aisle to have a satisfyingly orderly desk. it makes me feel complete, as though i could tackle any project now that i have the correct tools. 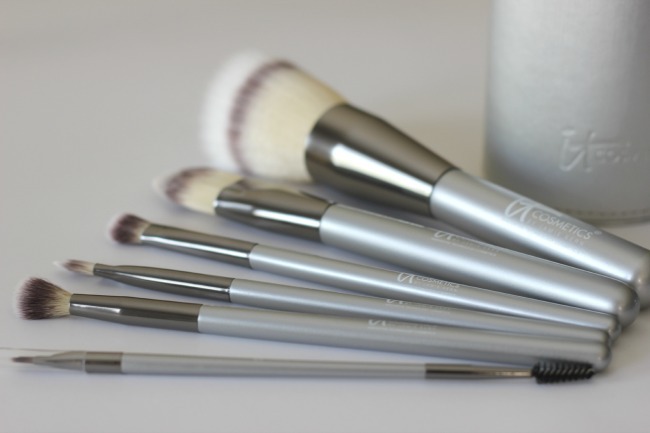 IT Cosmetics has recently released this six piece brush set that not only passes my strict standards for quality, but also contains the perfect brushes for a beginner set, professional set, travel set, vanity top set and everything in-between. my pet peeve is when companies release a brush set with four great amazing brushes and then one random brush that leaves you wondering 'did they have too many in overstock?'. 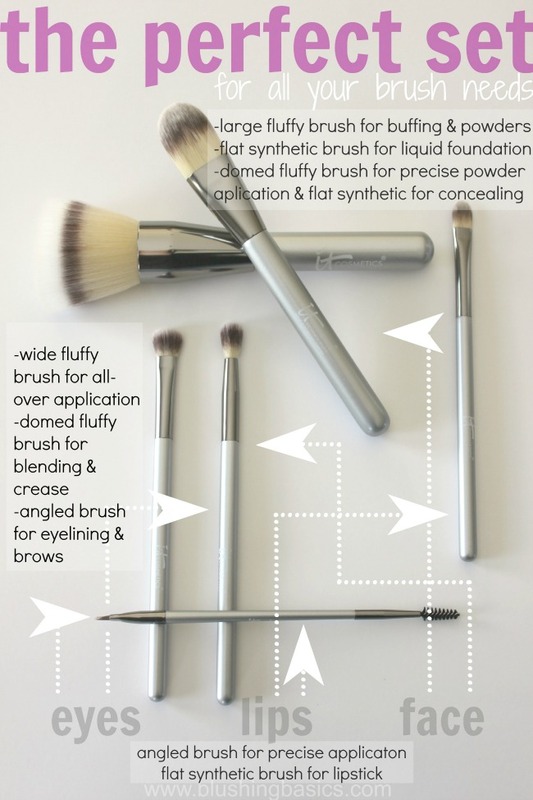 this collection by it Cosmetics has all of your brush essentials and every brush has a purpose. well played, it Cosmetics. Very cool! I am quite the brush snob too :/ I'll have to check it out! I cant find this set on their site! Is it sold as a set? I have been wanting a new brush set and I am so bummed that I cannot find it. Lindsay, I just realized it is only sold on the QVC site for $39! It's a major steal! I bet these brushes are as soft as they look! I have quite a few of their brushes and they are fabulous. I didn't realize that this set is only $39. That's a terrific price.